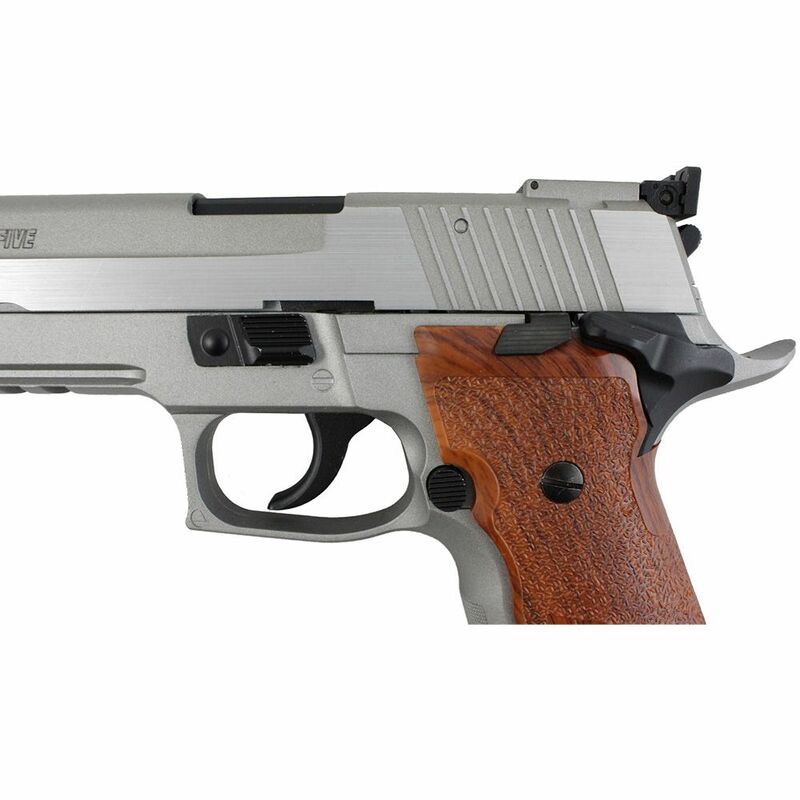 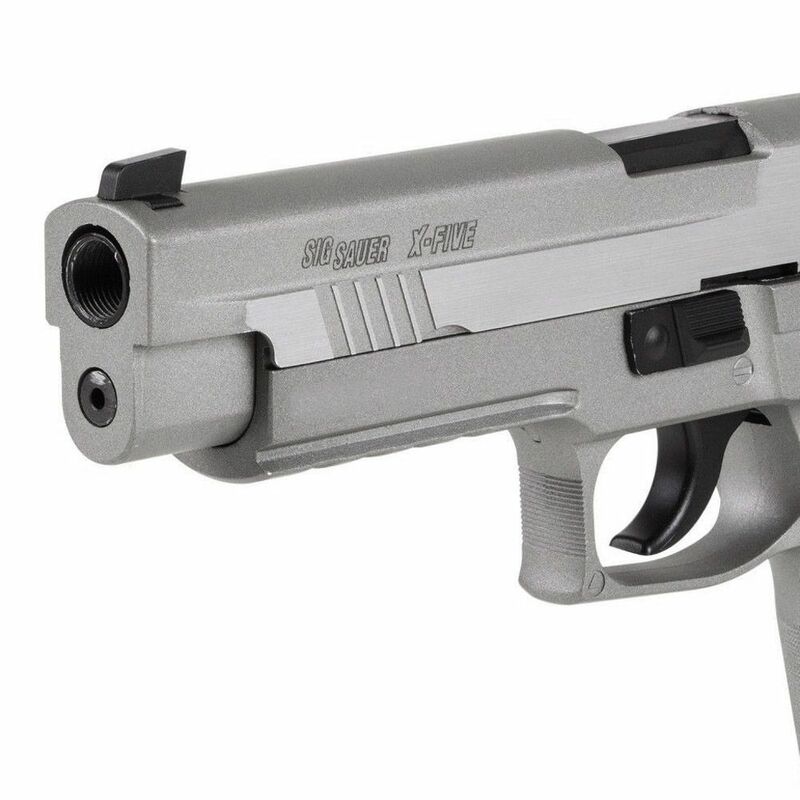 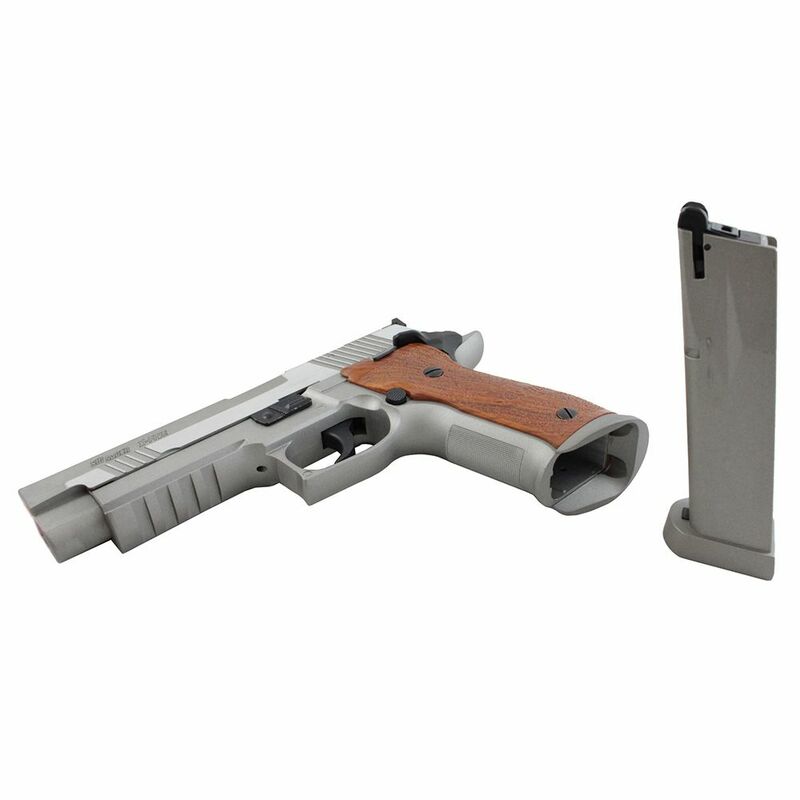 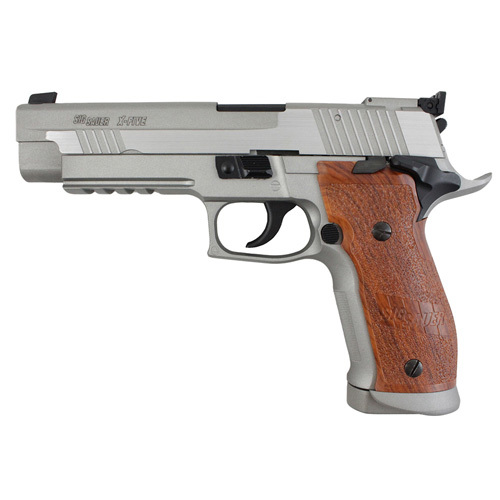 Show off this flashy Sig Sauer P226 X-Five Airsoft Pistol with its silver metal finish and faux wood handle accent. 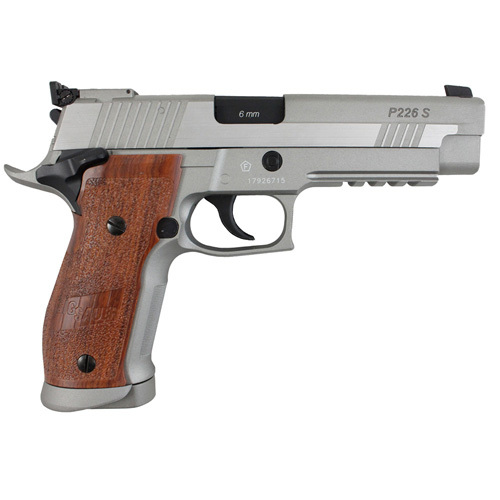 This reliable gun fires its 26 rounds out at 388 FPS for equal strength shooting at targets or in airsoft games. 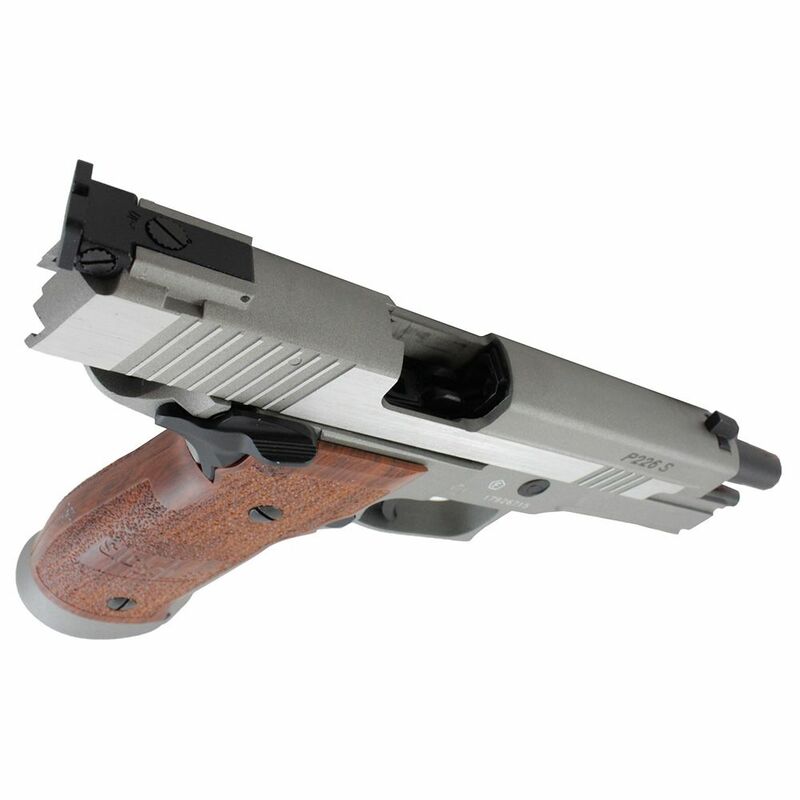 An adjustable rear sight and BAXS hop-up system help you hone your BB targeting and flight. 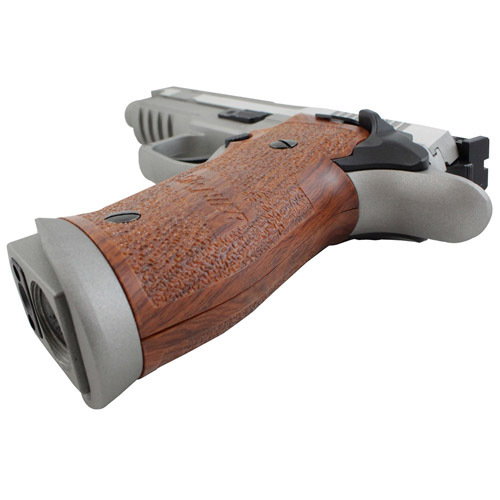 Accurate and great blowback, highly recommend Camouflage (Burnaby store) wonderful customer service!